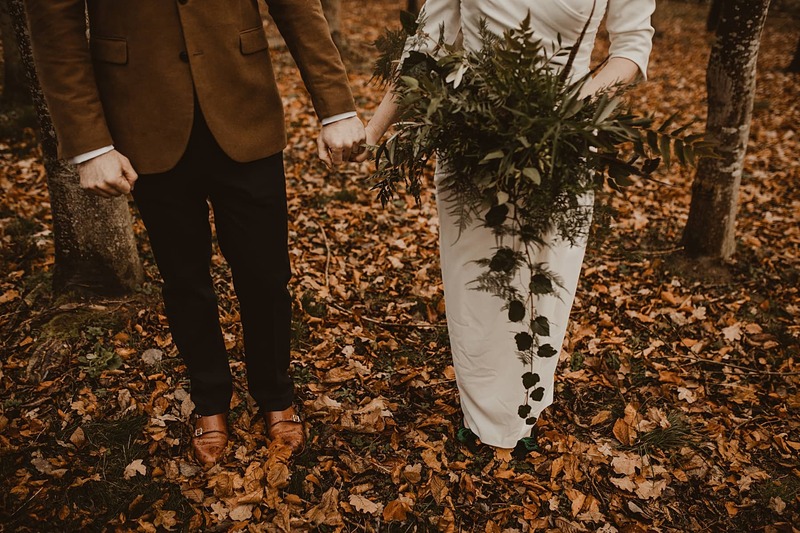 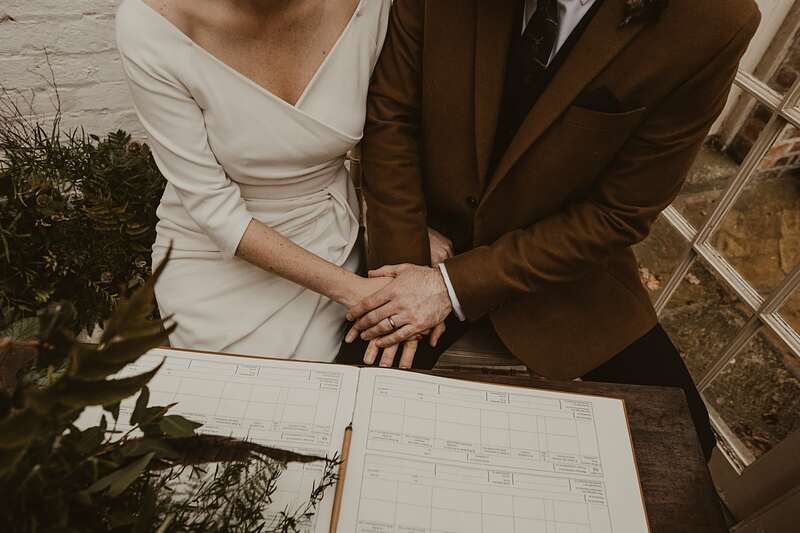 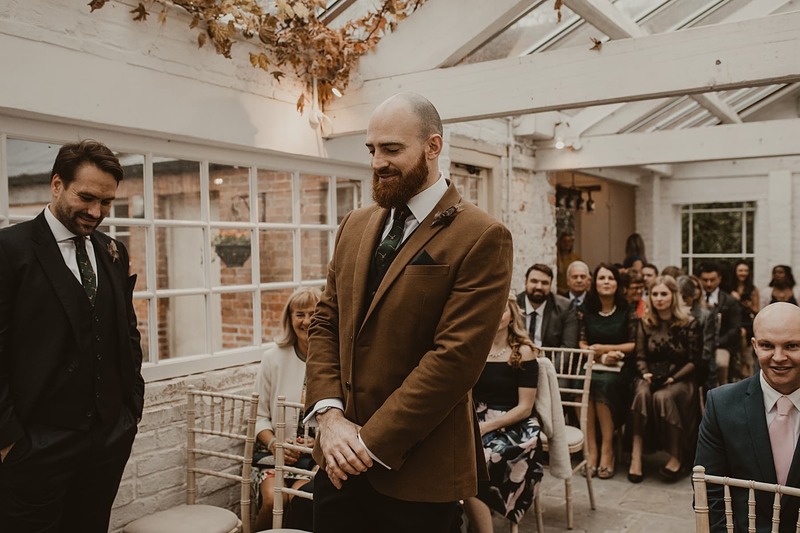 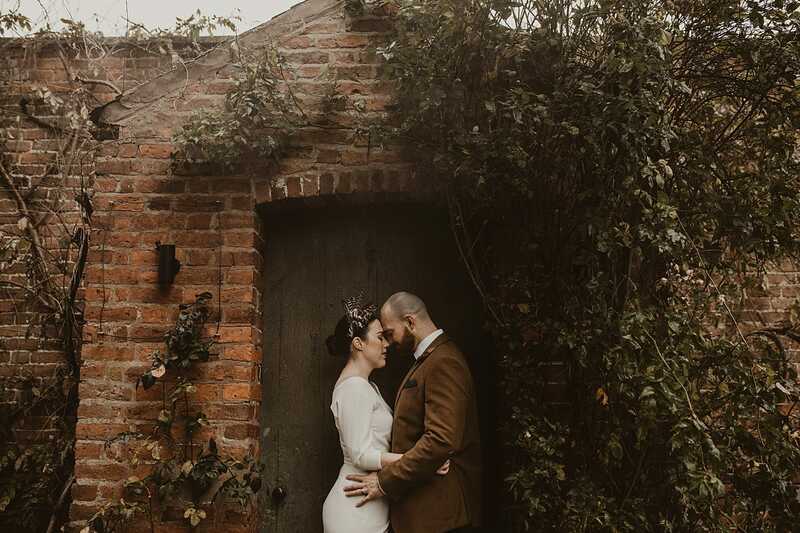 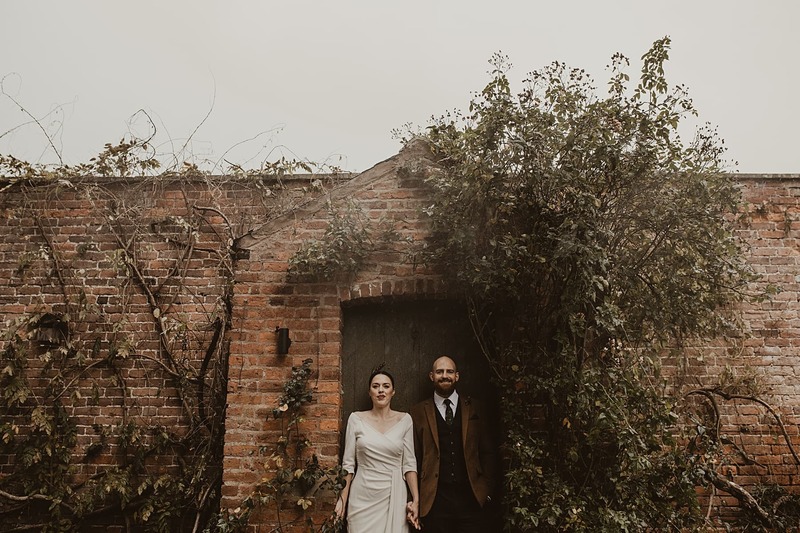 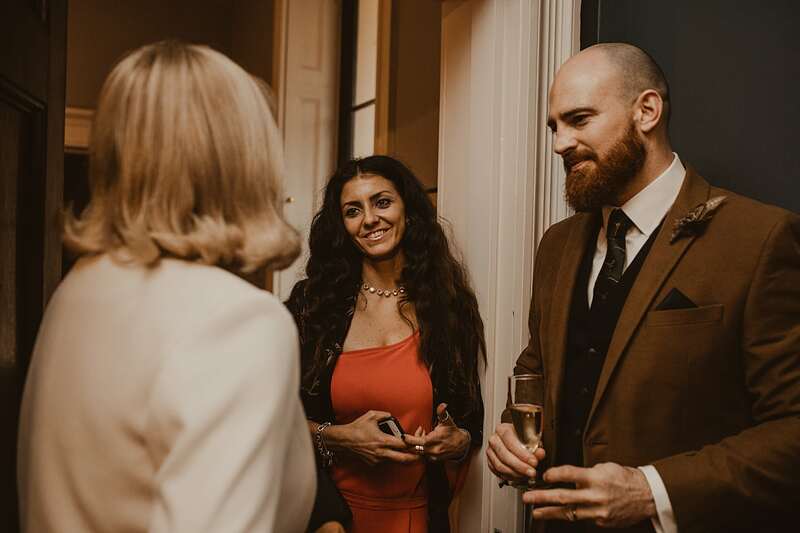 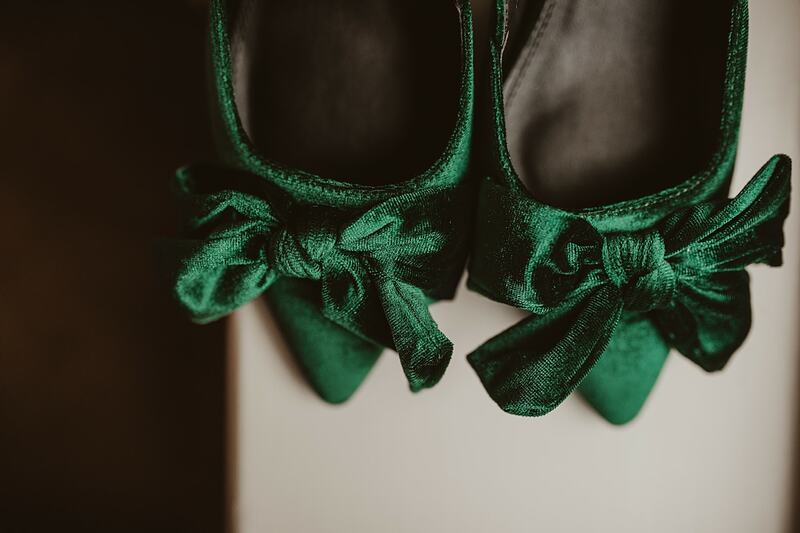 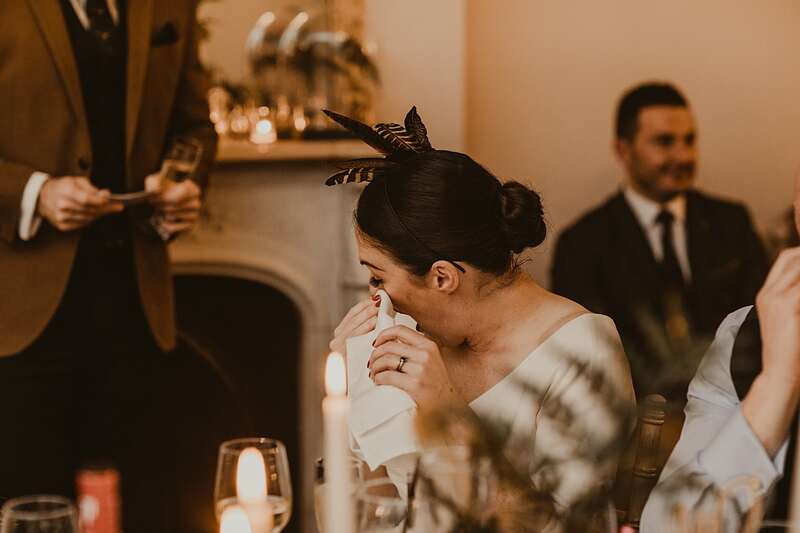 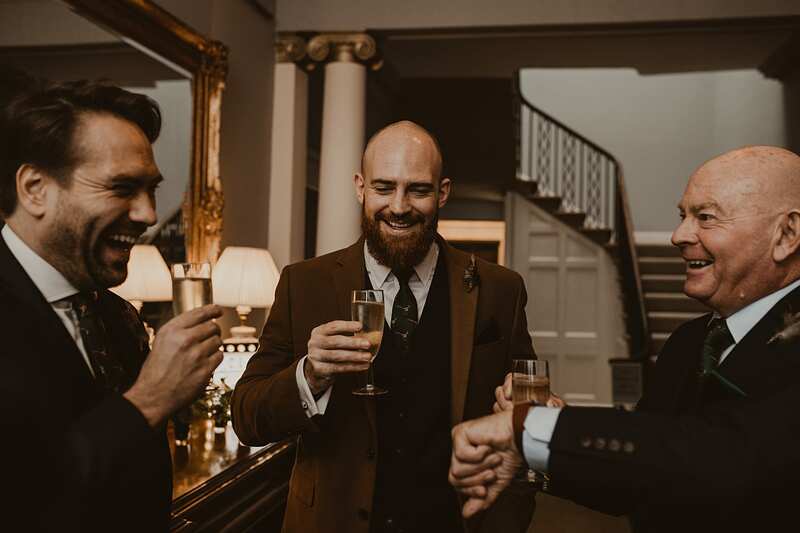 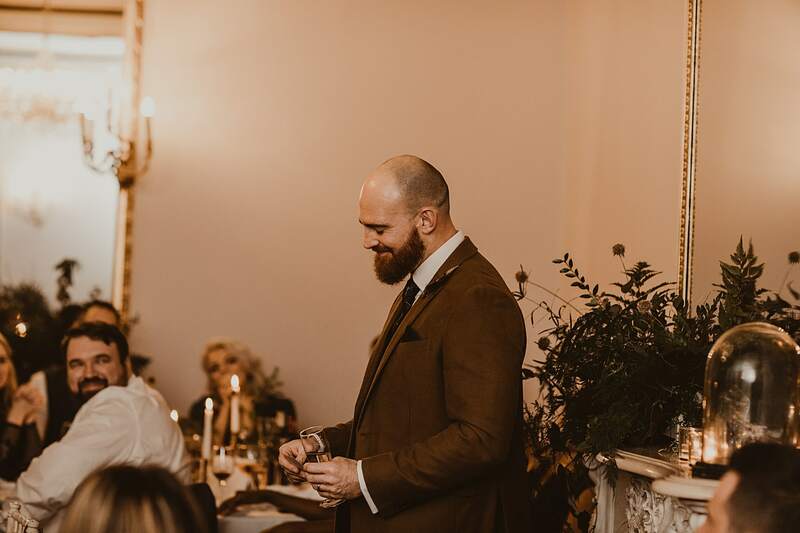 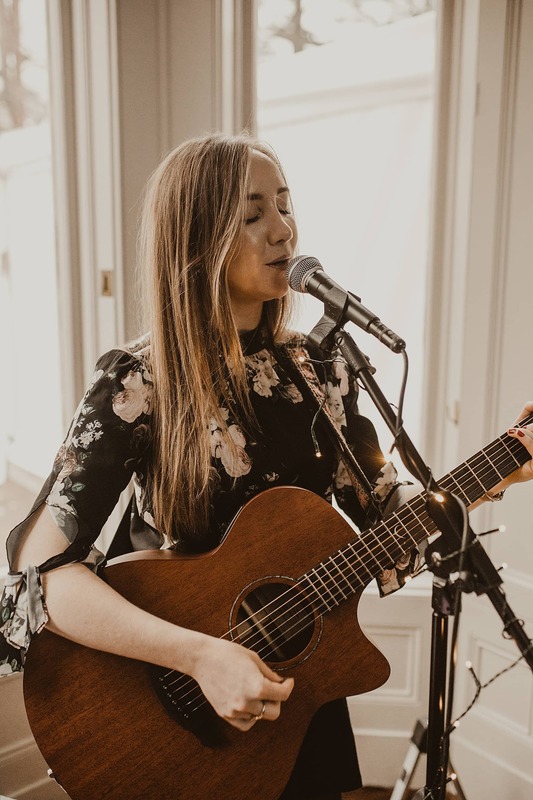 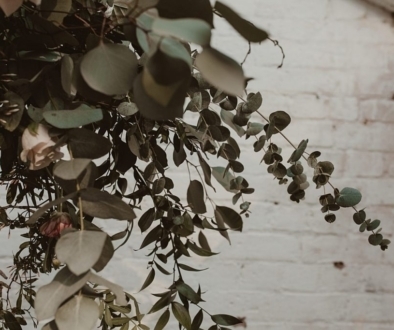 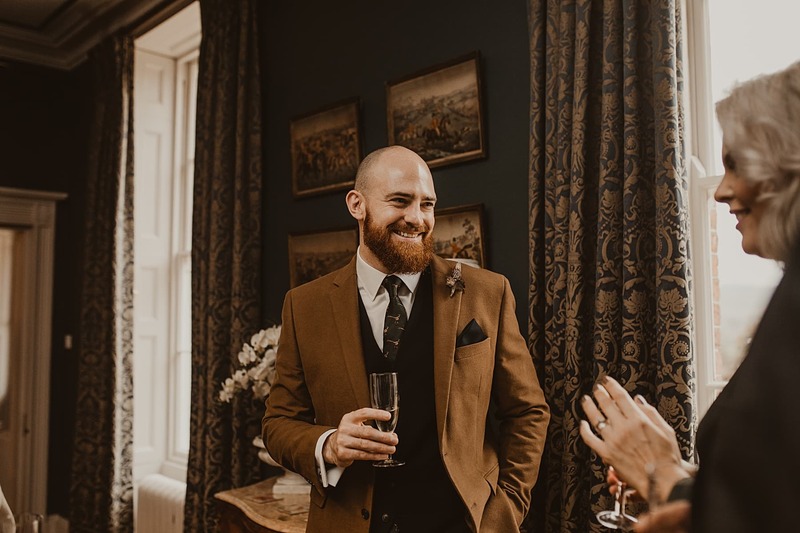 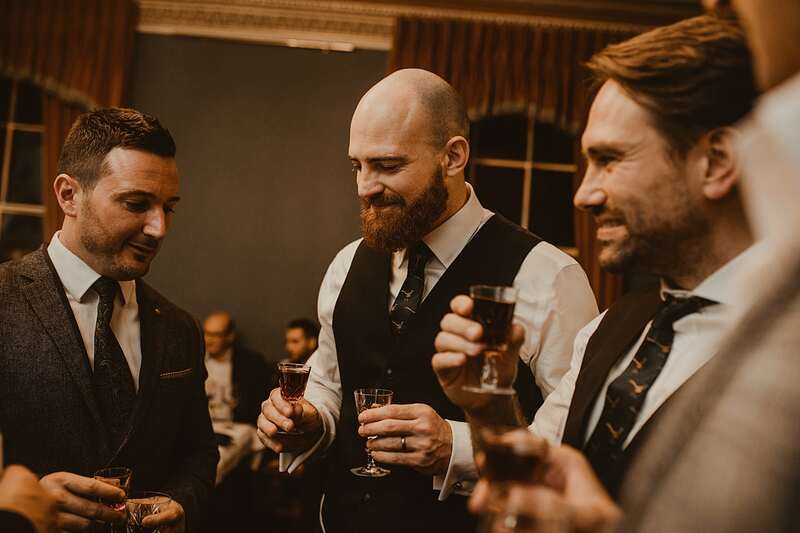 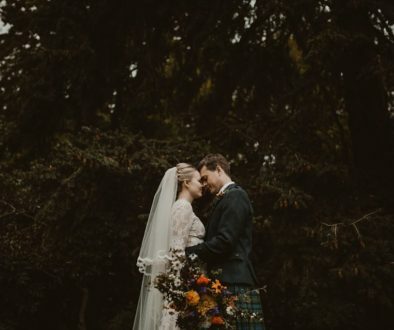 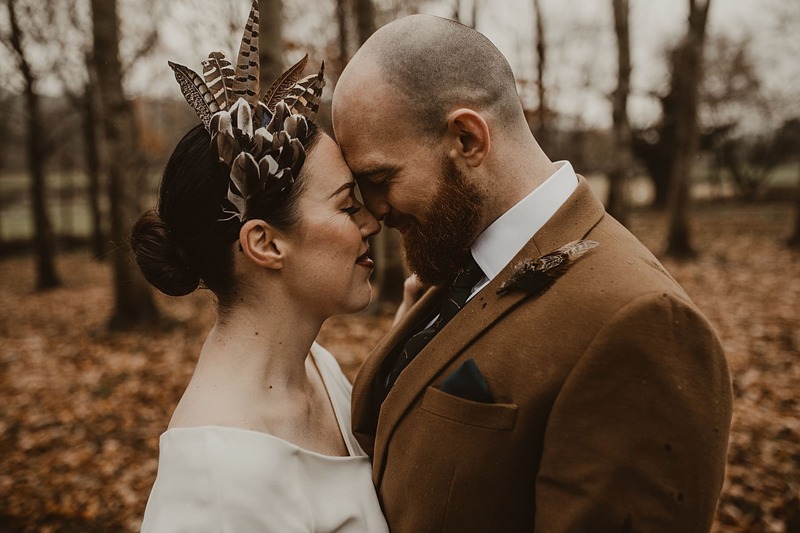 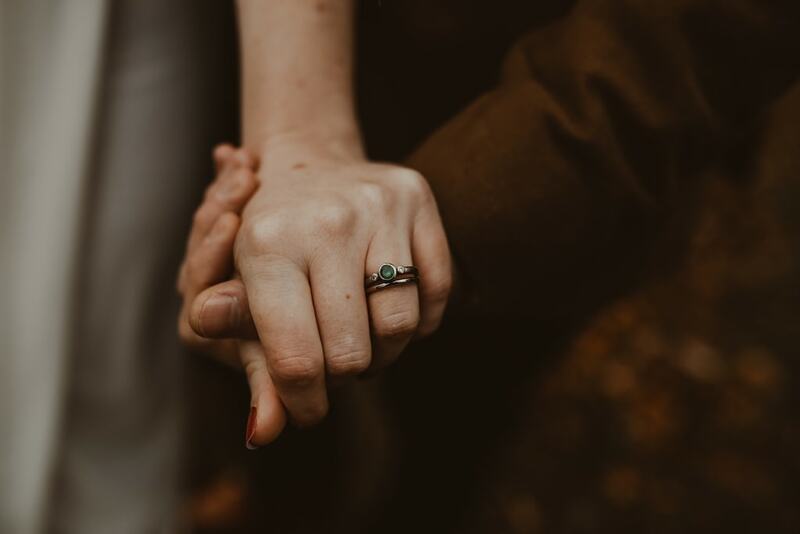 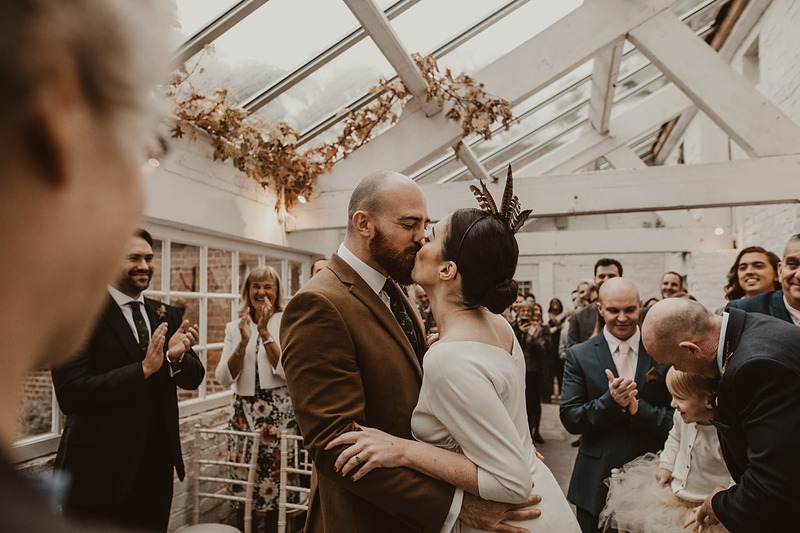 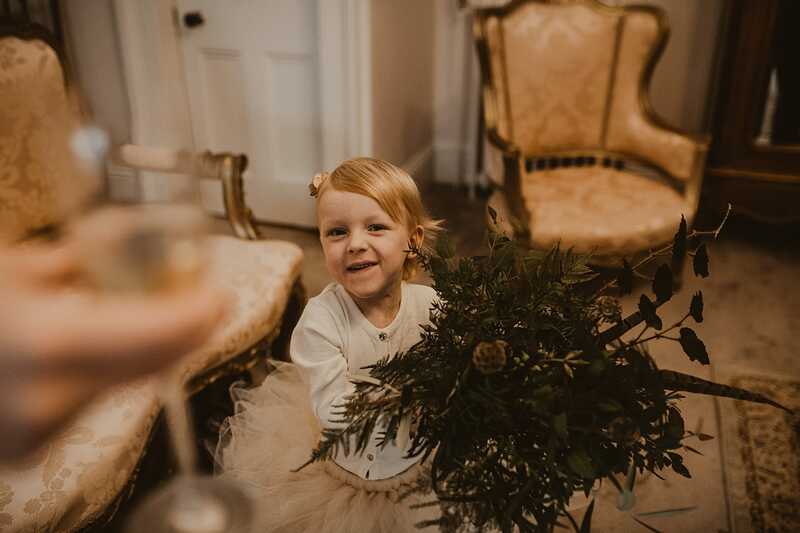 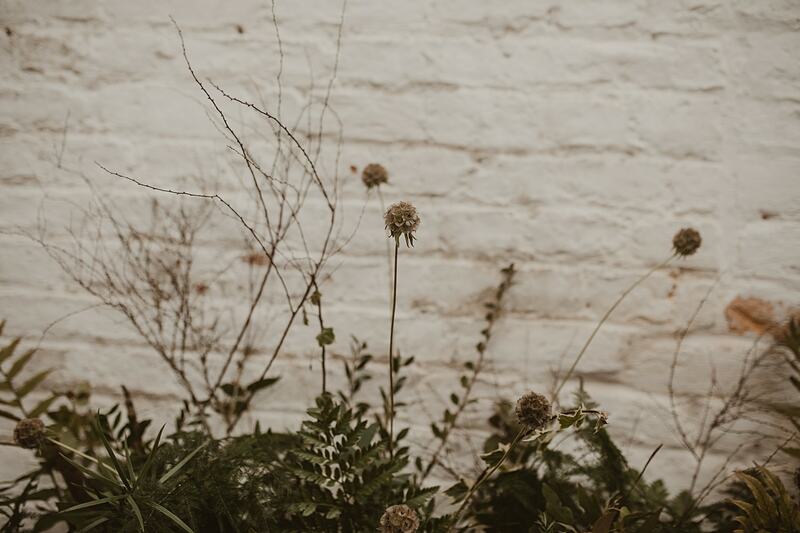 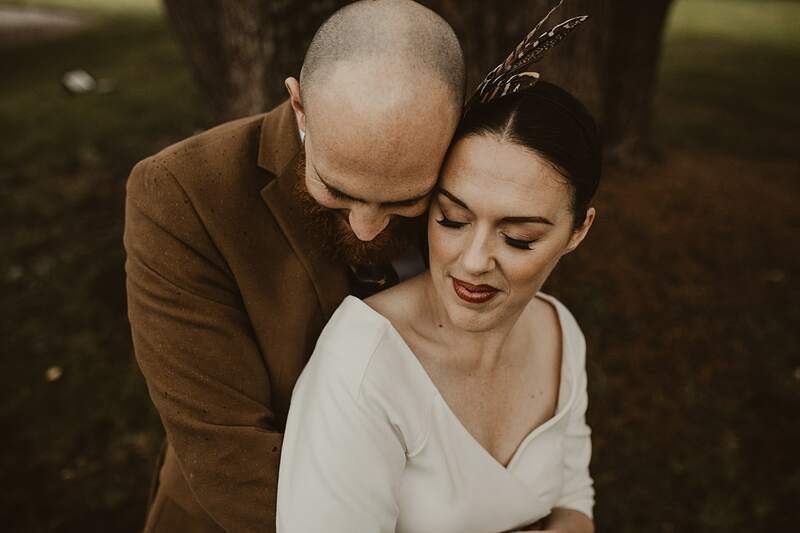 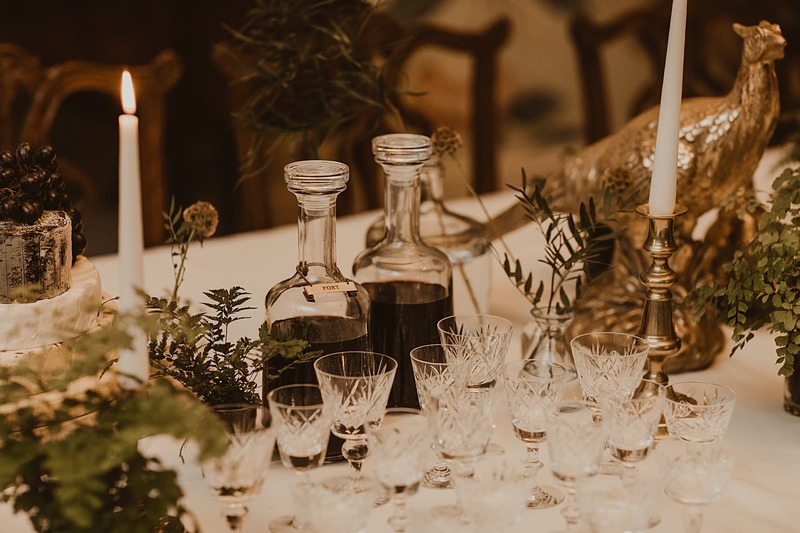 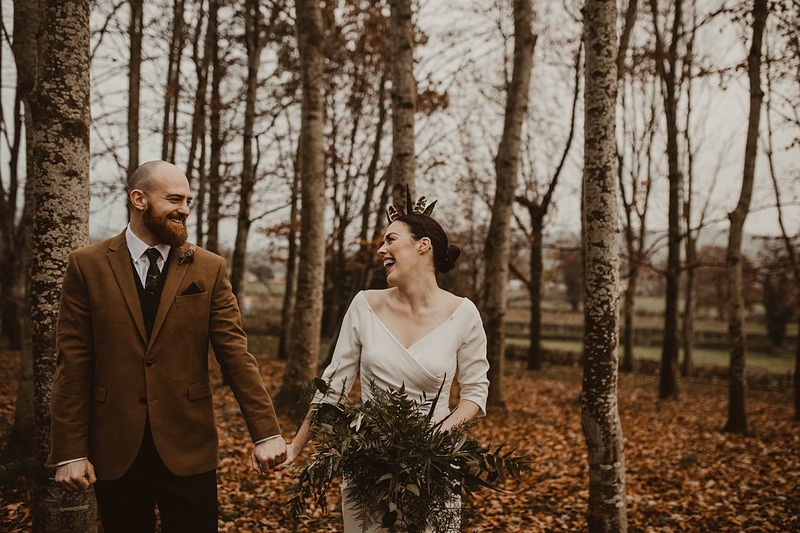 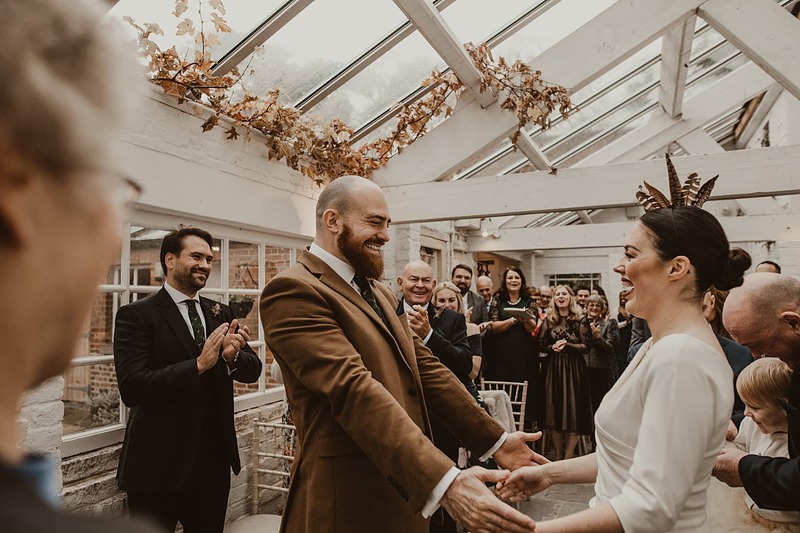 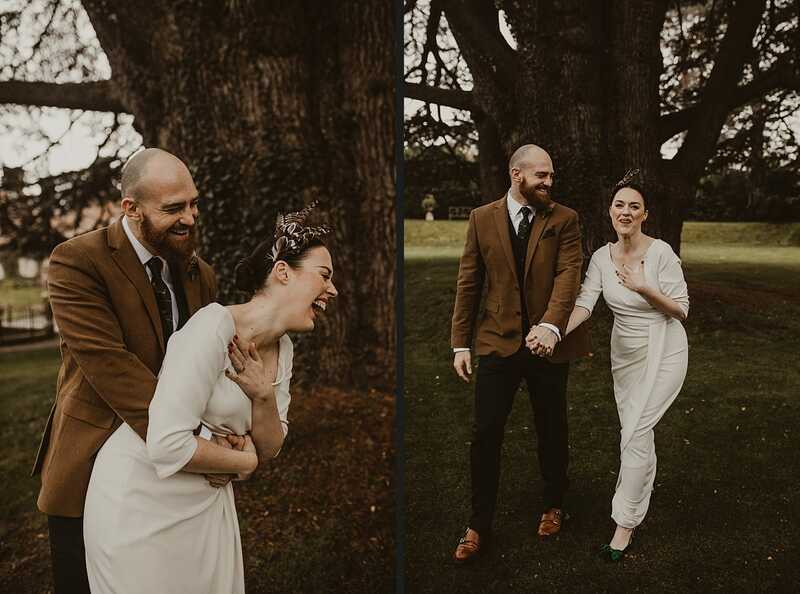 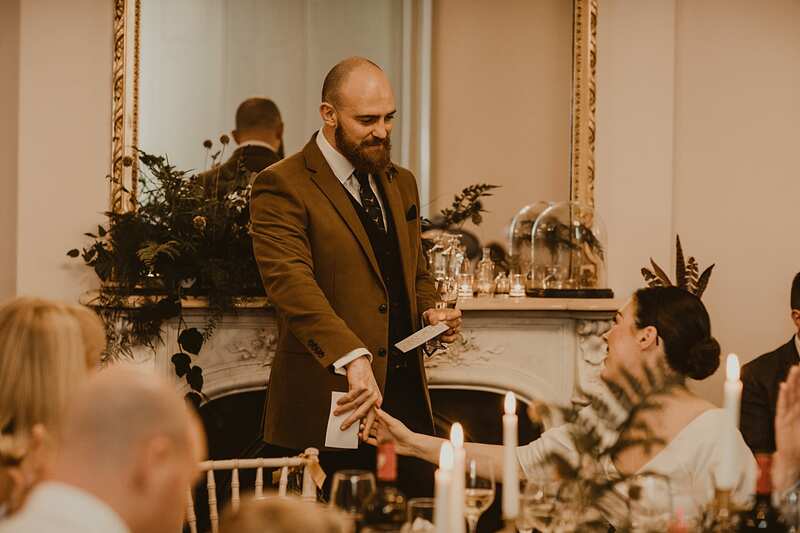 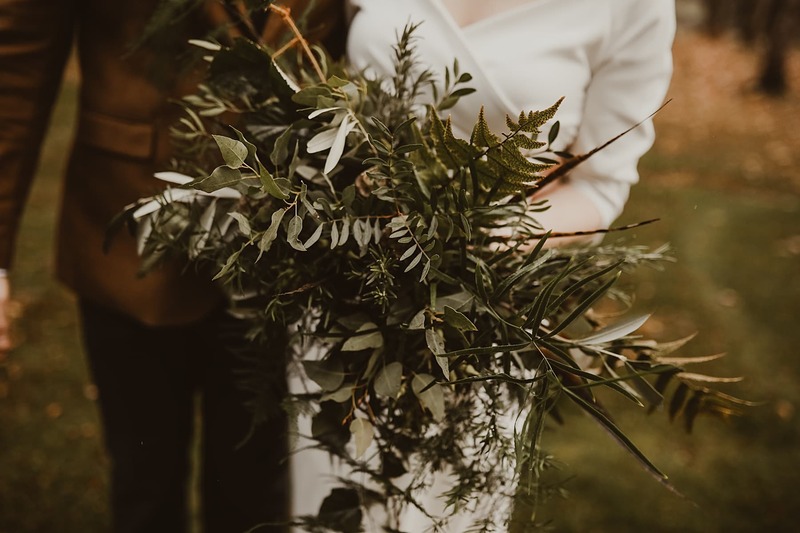 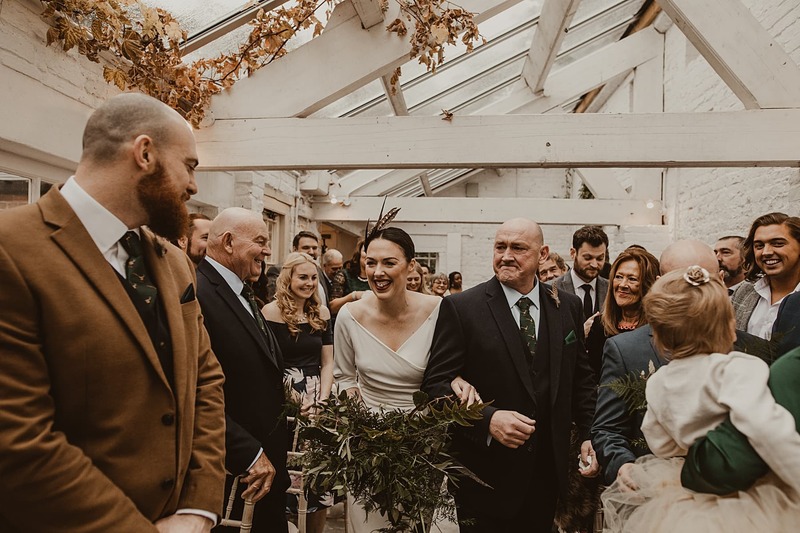 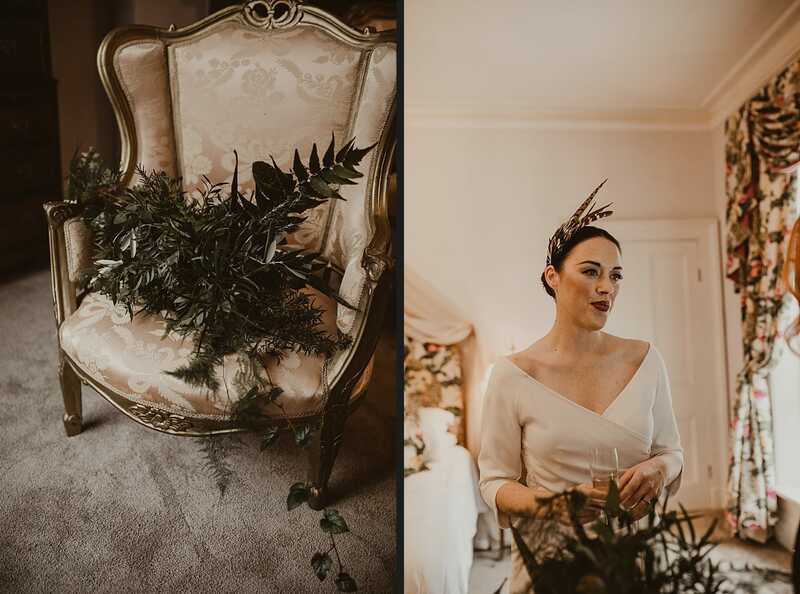 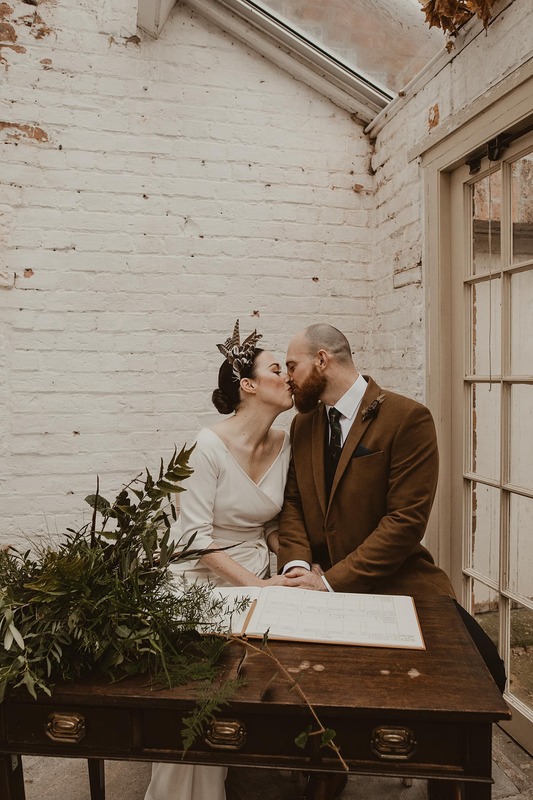 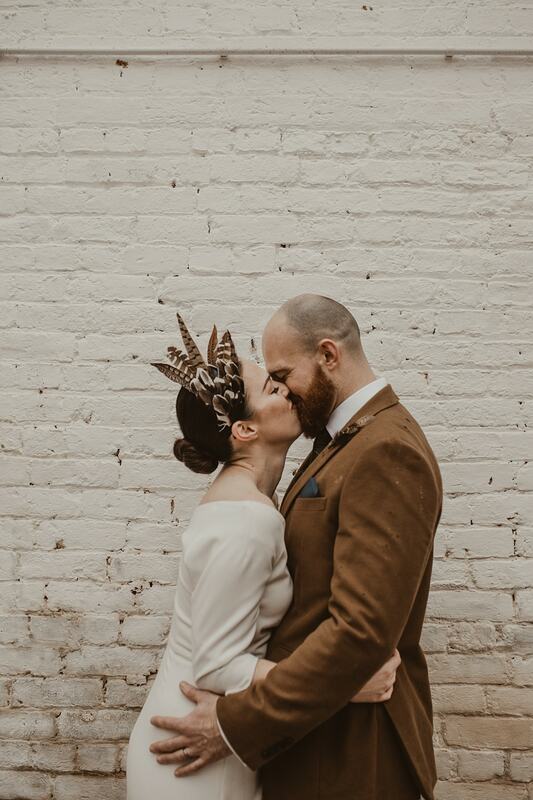 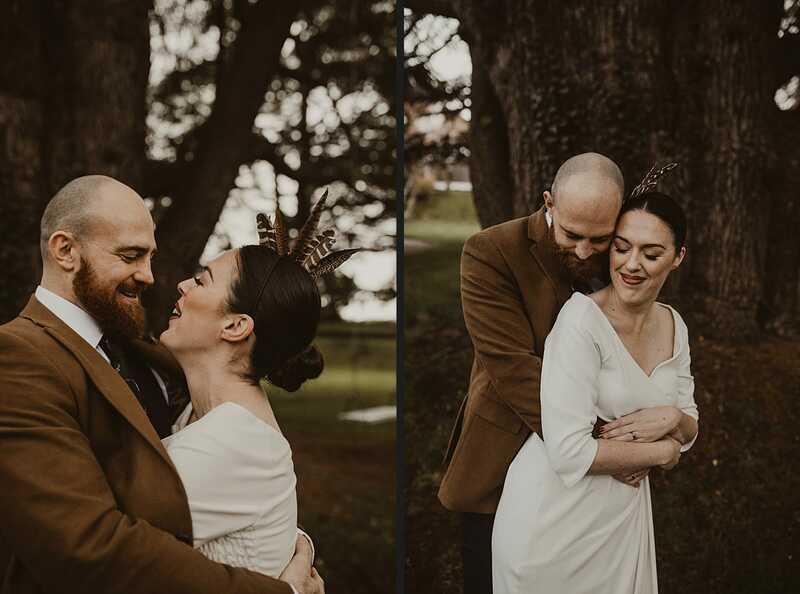 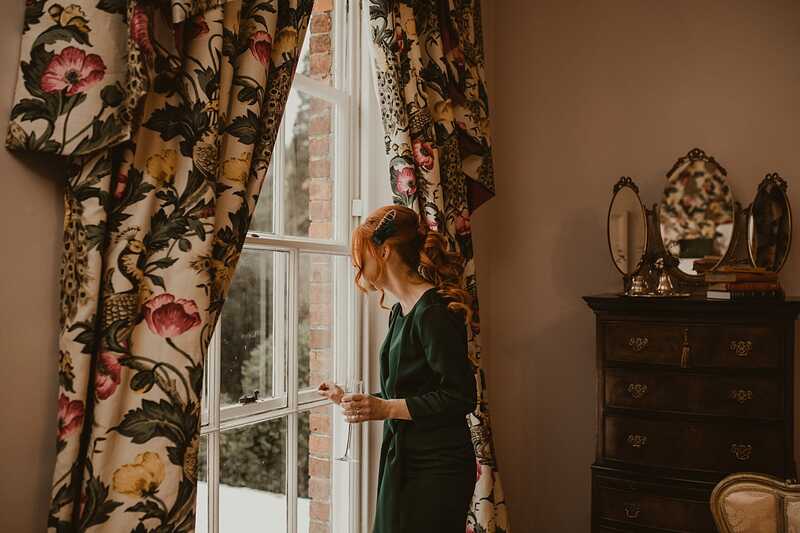 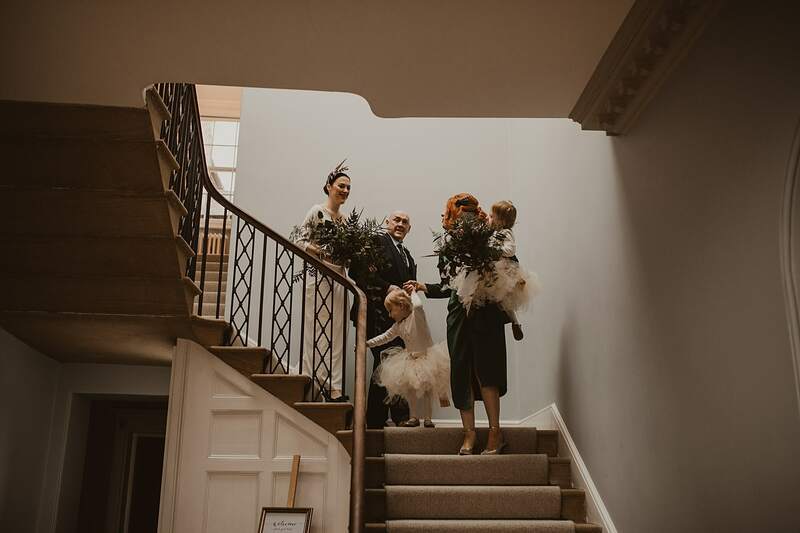 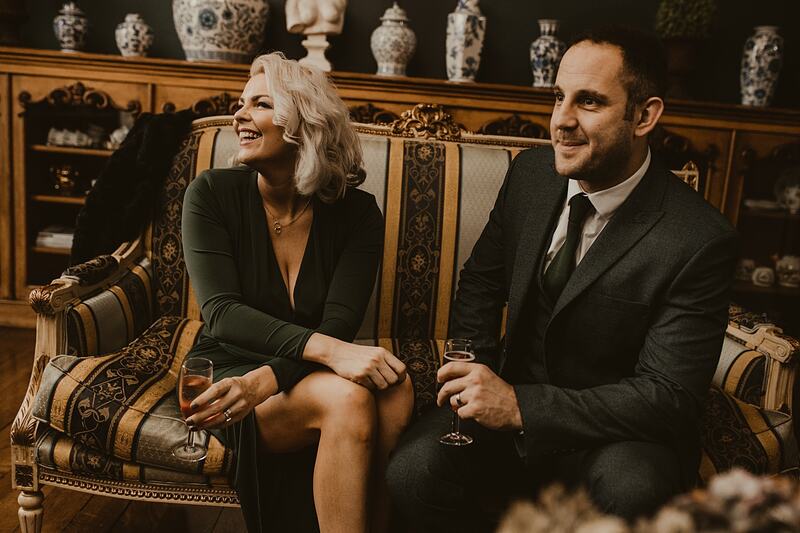 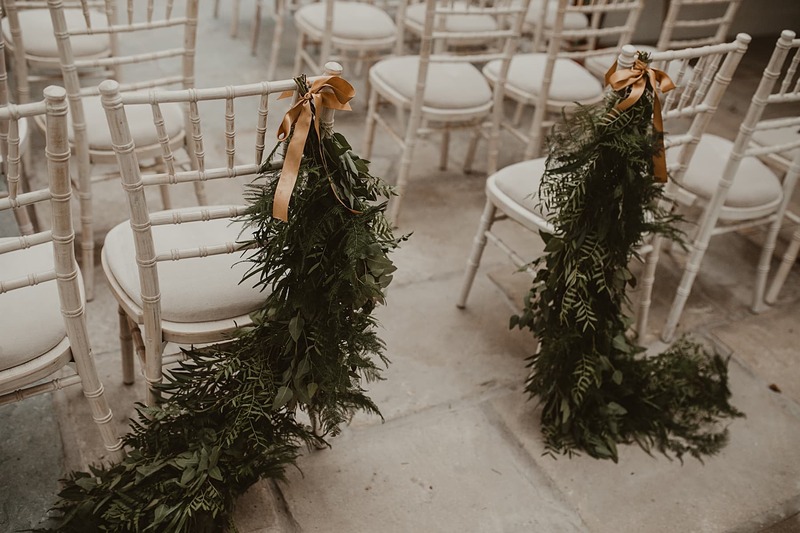 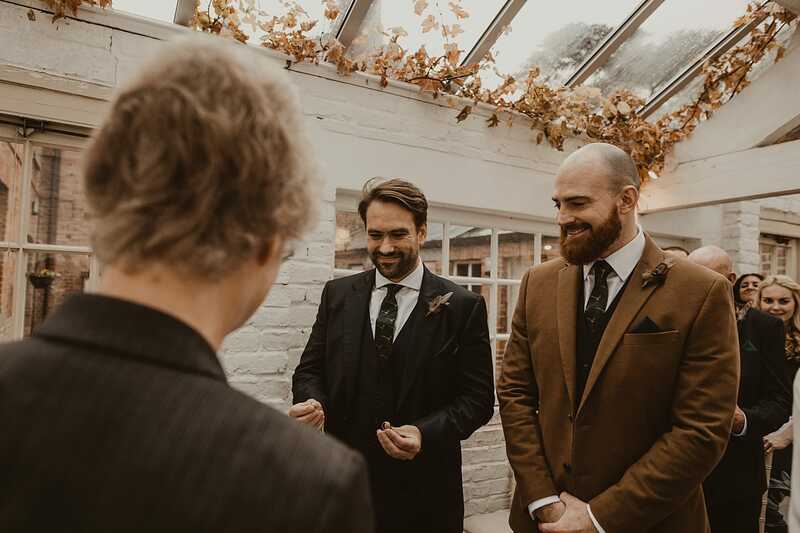 With romantic foliage by Pheasant Botanica, forest green touches, feather headpiece and a ceremony setting to die for, this Garthmyl Hall wedding is going to be right up your street. 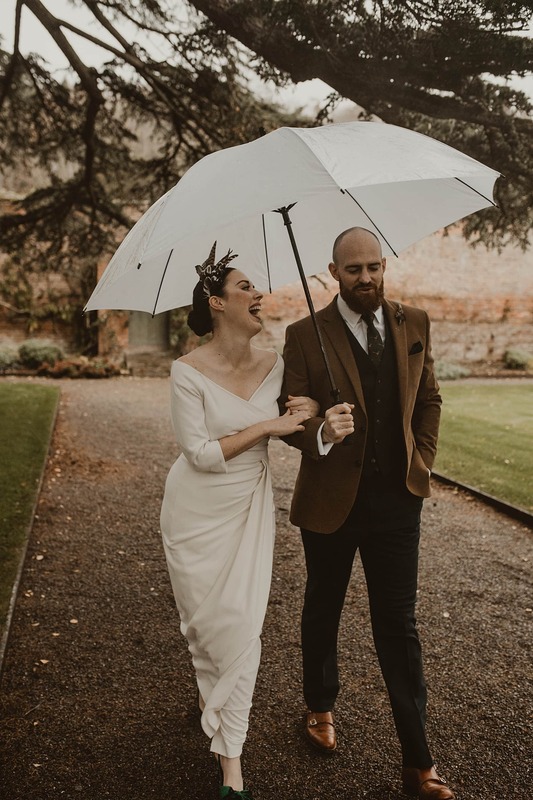 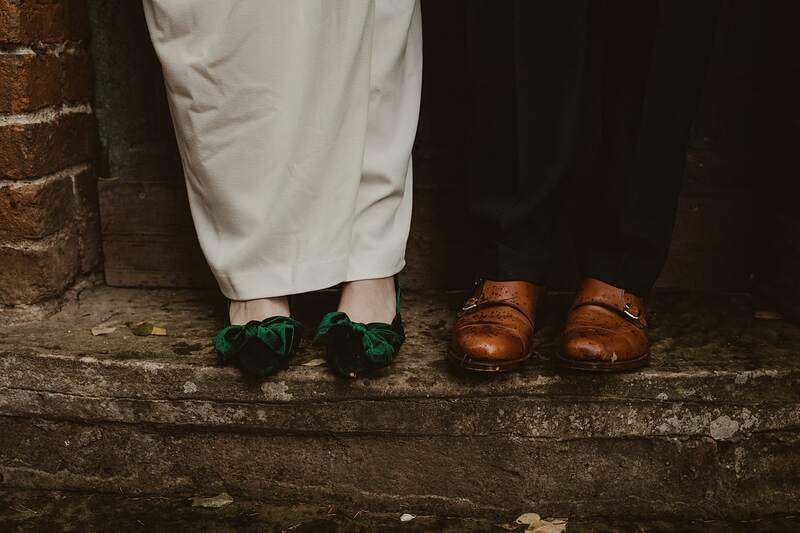 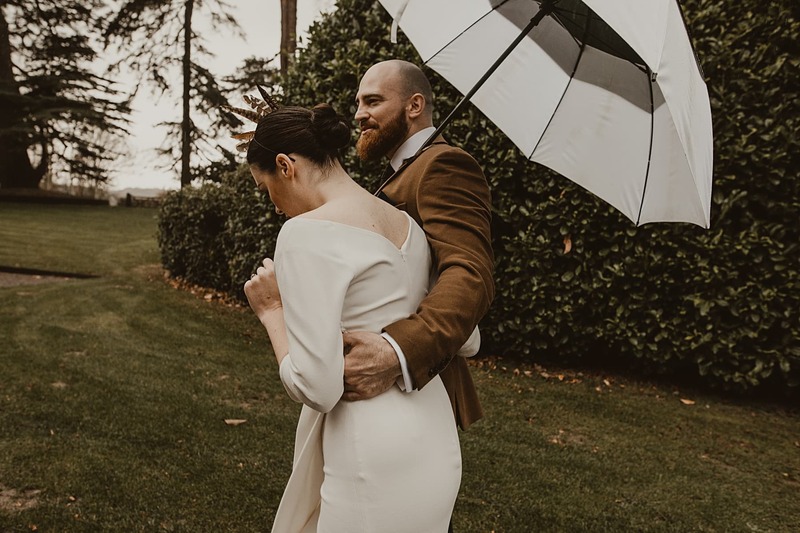 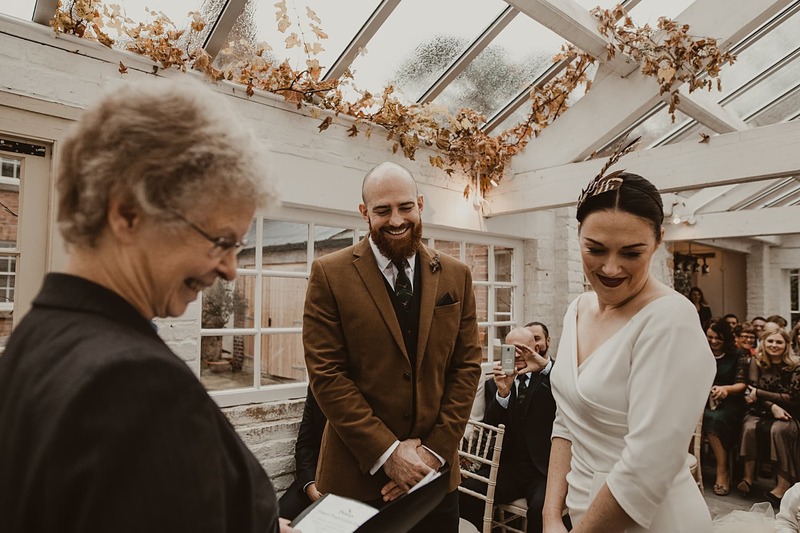 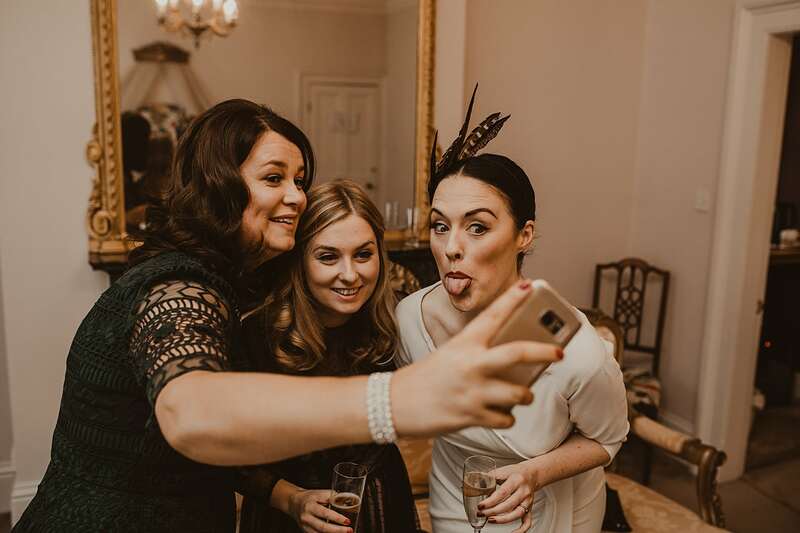 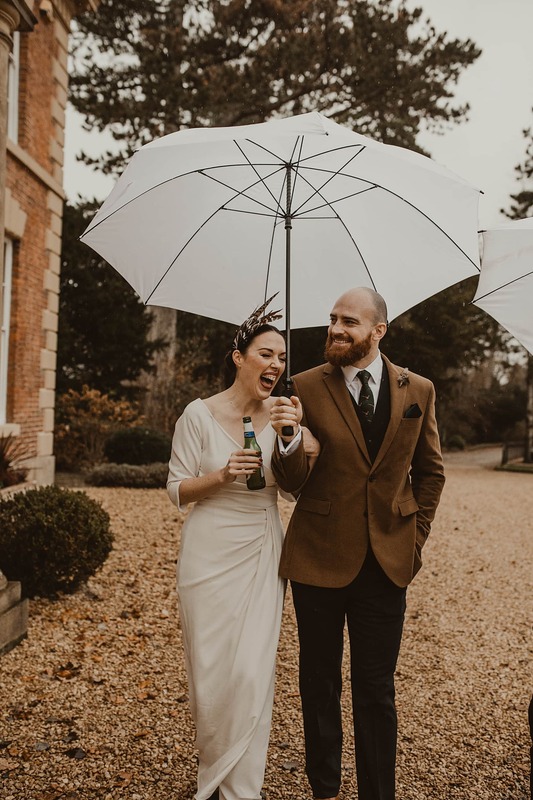 Claire and Cedric chose to have an intimate, winter wedding and in true welsh style, we had to have non-stop rain! 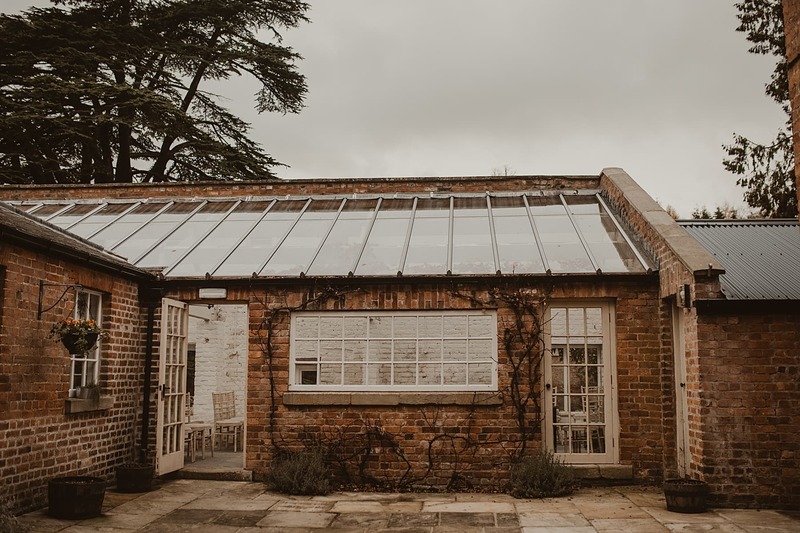 The summer house in the grounds is such a rustic yet idyllic spot to tie the knot, complete with glass roof and grape vines. 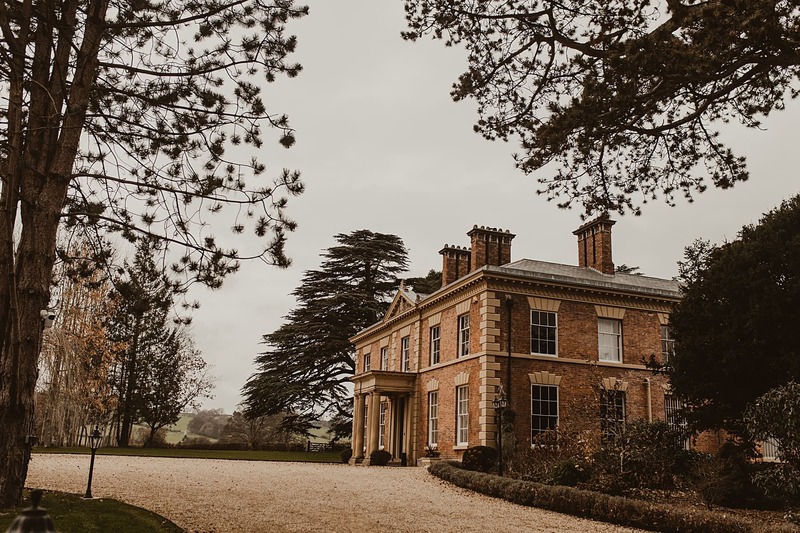 The Hall is situated on the Shropshire Mid-Wales border, one of my favourite venues. 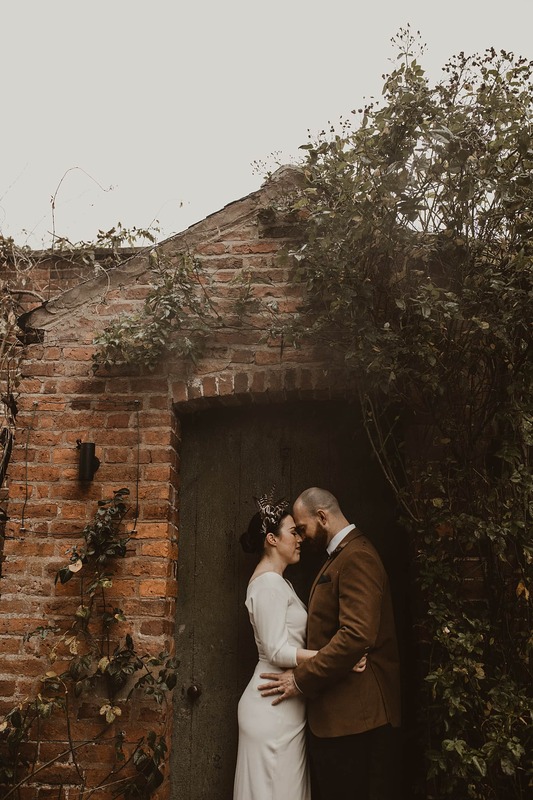 The fire crackled in the corner whilst the guests sipped on champagne, whilst we went off for some portraits in the rain and made use of the autumn leaves in the grounds. 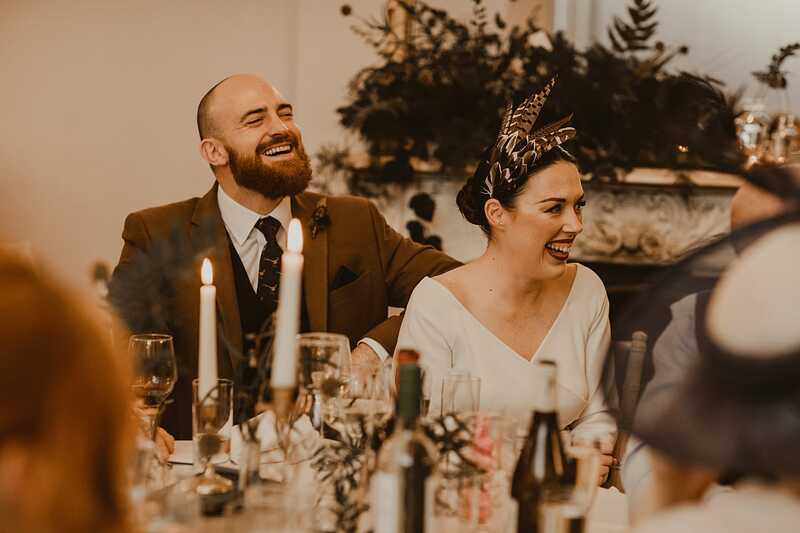 Claire and Cedric’s laughs were infectious and they didn’t stop smiling all day. 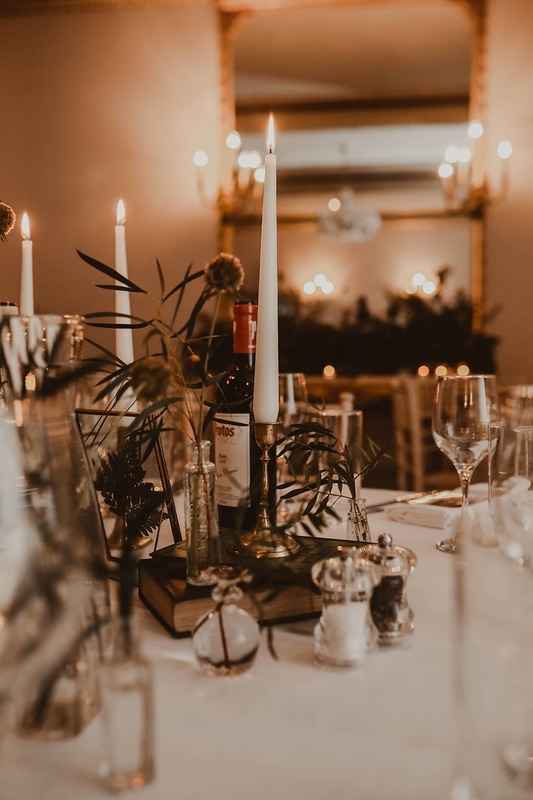 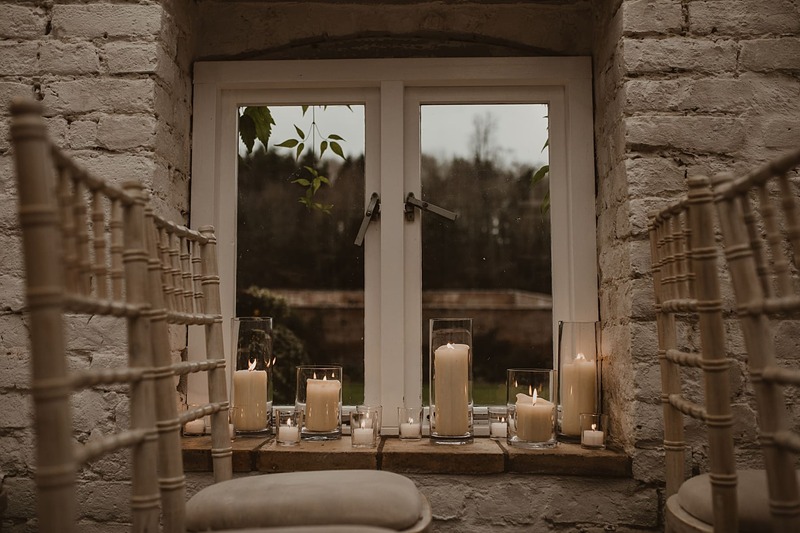 A cosy, candle-lit meal whilst the rain continued to fall followed by a mouthwatering selection of cakes in the dining room, washed down with some port! 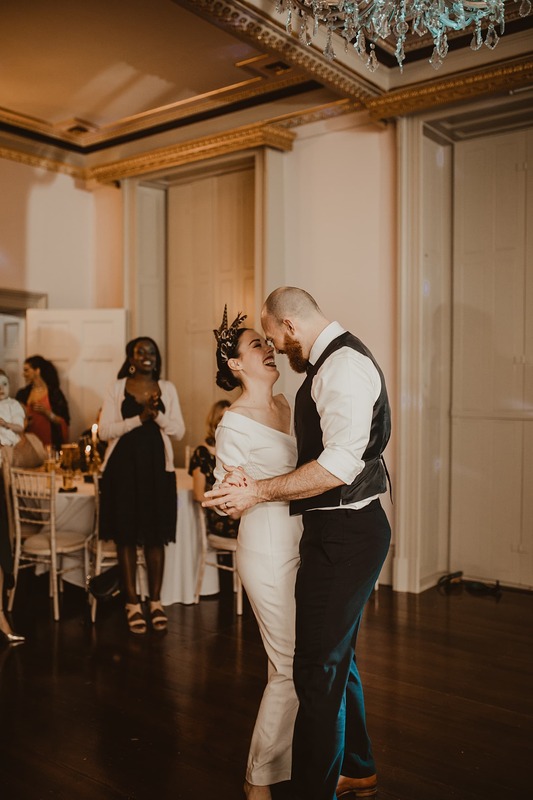 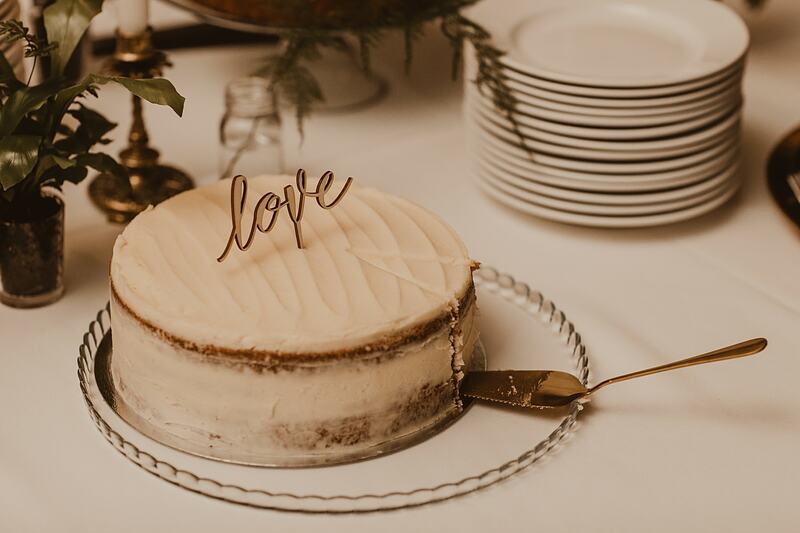 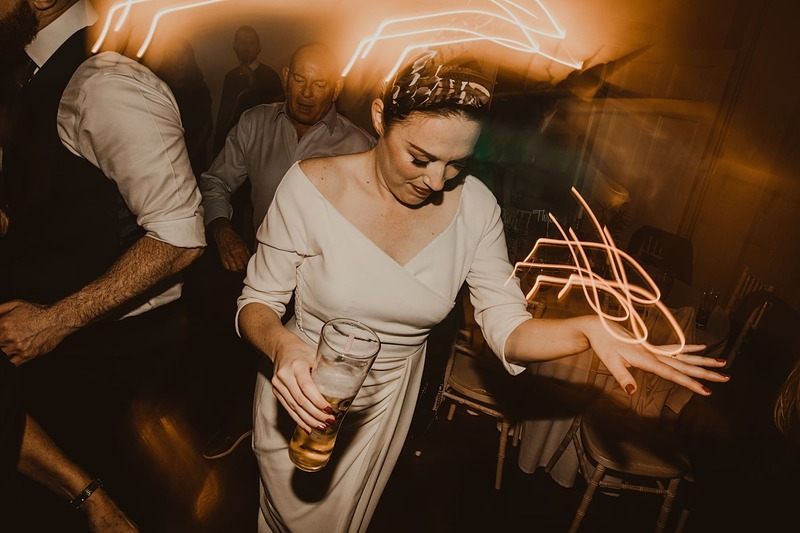 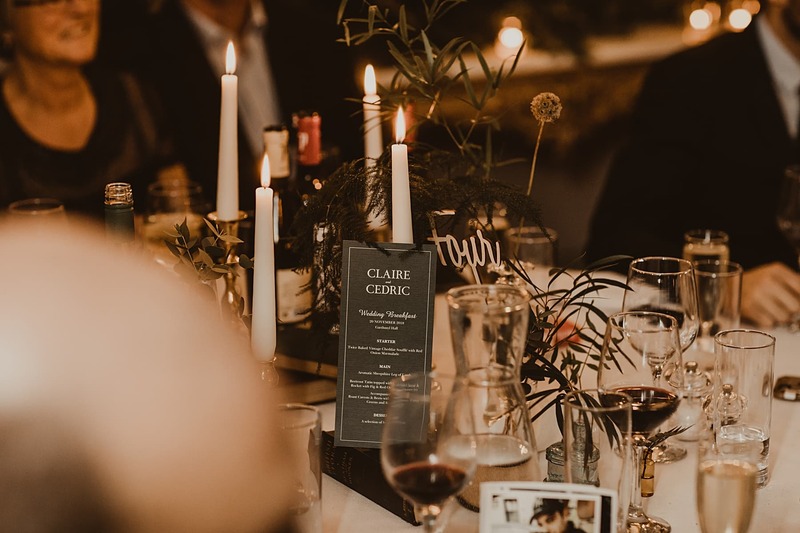 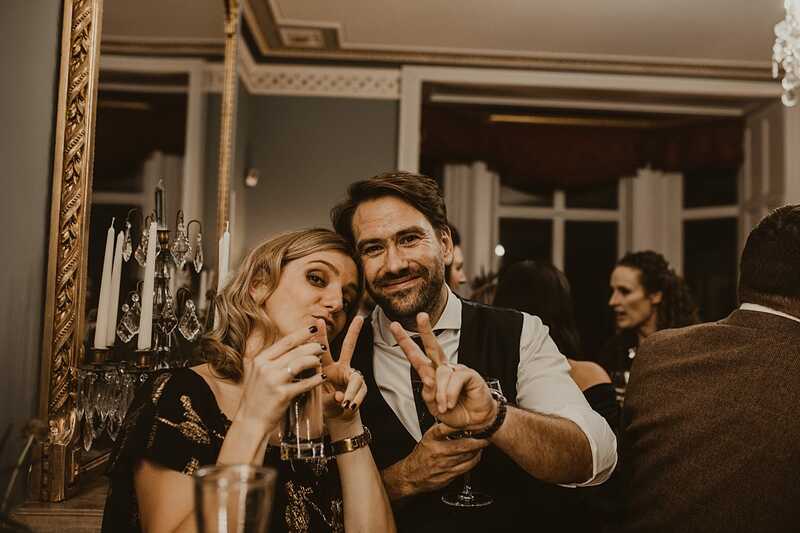 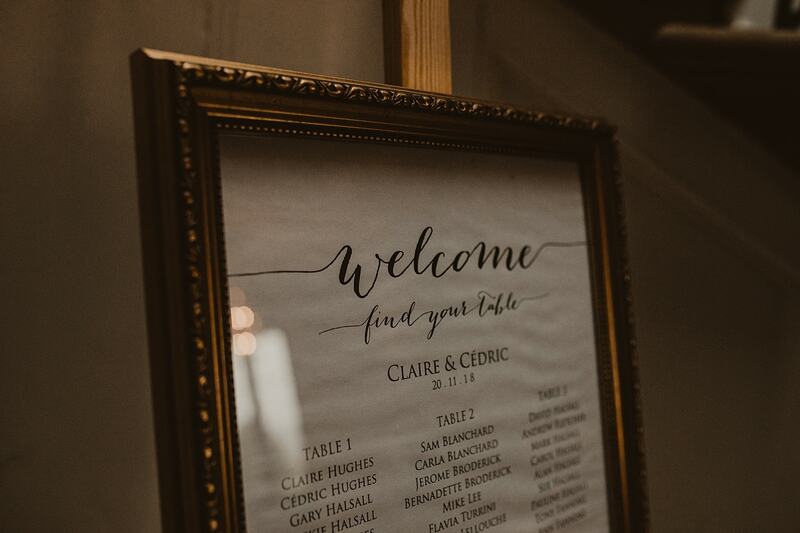 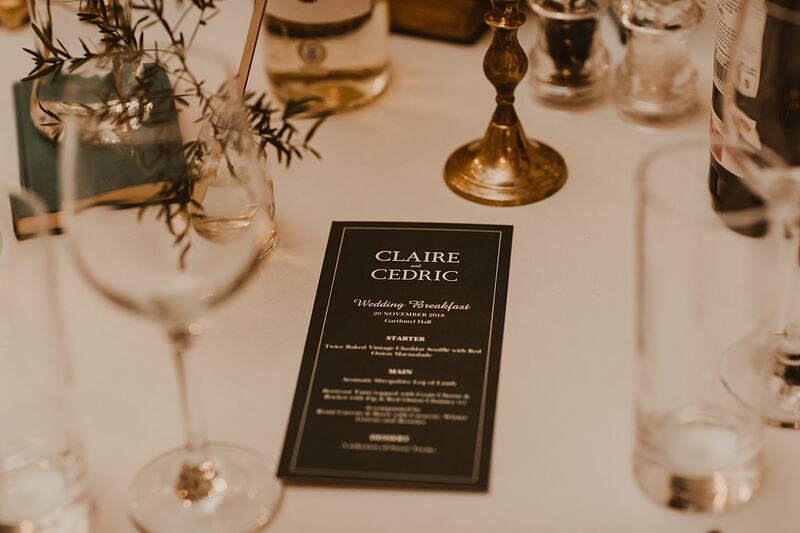 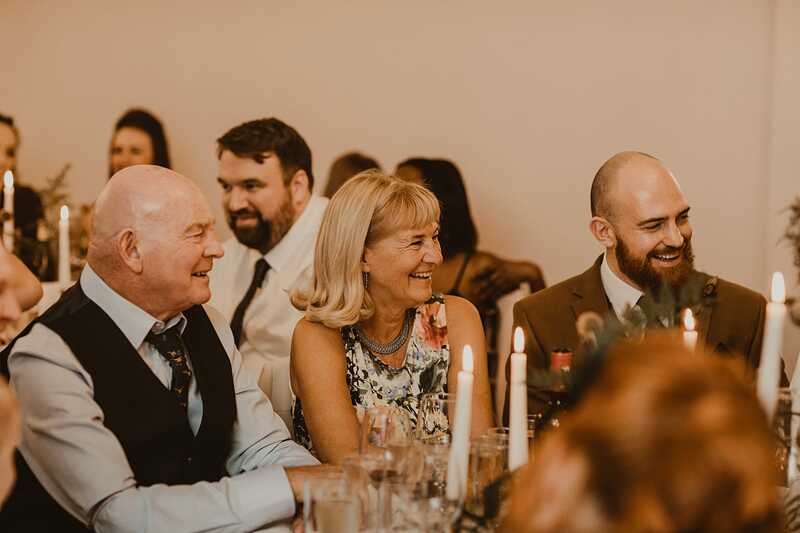 Claire and Cedric didn’t hold back on the celebrations and danced the night away with their closest family and friends. 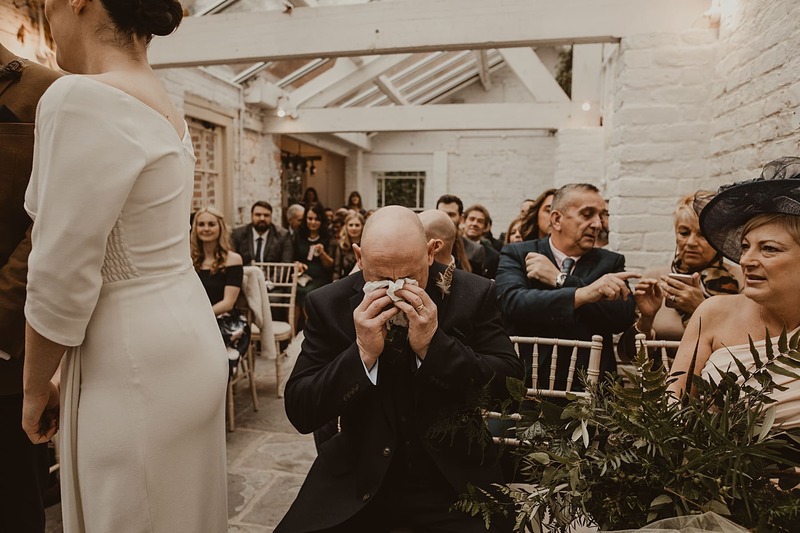 A huge thank you for choosing me to document your wedding. 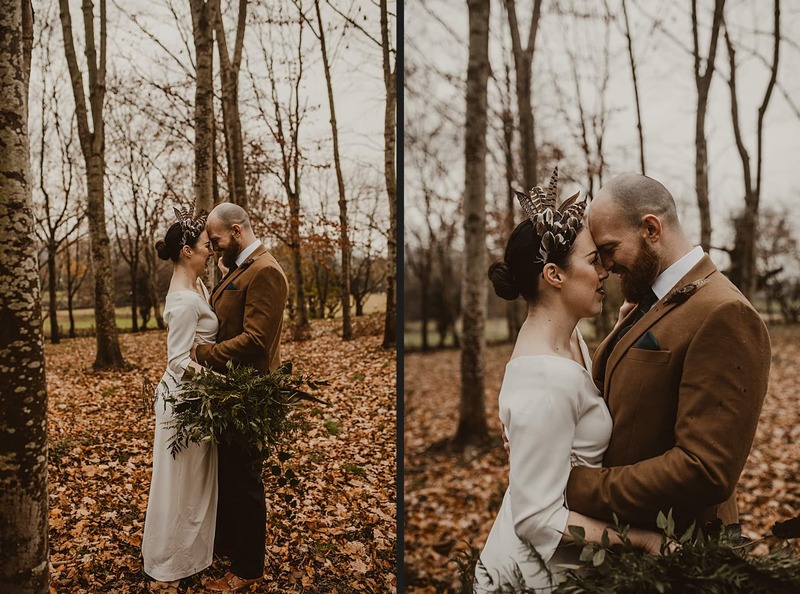 Here’s some of my favourites from the day.